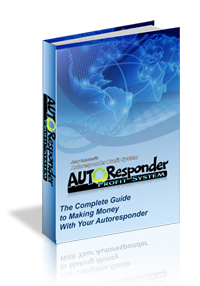 The long wait is finally over and I am happy to announce that a new edition of Autoresponder Profit System is here. Other than removing a bunch of dead links I was happy to find that very little of the actual “list building” content needed to be changed. I did want to make this update worth the wait though so there are some noticable new additions. Not a biggie but I added a new chapter at the end of the book with a few thoughts about my experience with list building over the years. Ok, this one is huge. 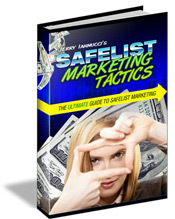 Now instead of giving away a copy of the book promoting autoresponders you don’t use you can now download a book that ONLY promotes your autoresponder! There are now 3 different copies of Autoresponder Profit System that you can download and give away depending on which autoresponder you use. The new books currently support Aweber, TrafficWave, and now RocketResponder! If you are an upgraded member of the Autoresponder Profit System website you now have exclusive access to a brand new ebook which includes a 73-day email series I wrote for one of my lists. Each email includes notes about why I wrote what I did and how it fits into the big picture of my email marketing campaign. As far as I know nothing like this exists anywhere else! If you are not currently upgraded you are in luck… for the first time in years I have reset the one-time-offer allowing you a second chance at grabbing an upgrade at the lowest price possible. Login to you Autoresponder Profit System account now and check out all of the new stuff. As we move into the “summer slowdown” season it’s time to kick up your advertising to make sure your advertising is being shown everywhere for the next few months. A few new mailers launched last month that are worth checking out. The first is from the great Frank Salinas called “No Marketer Left Behind“. It’s a weird name and not the flashiest looking site but Frank definitely knows a few things about marketing which means this one should grow pretty quick. I’m already seeing great results here after only doing a few sends. The other big launch was “The Ultimate Mailer” from Nina Nestoroff and Lisa McCormick. This one just launched last week so not a lot of stats to share yet but I expect to see good things from these two. The way this works is that I use about 40-50 different safelists and mailers to promote my own site called “Mister Safelist“. I track the number of new verified members I received from each of the mailers below. These signups all come from using the “credit mailer” on the site and do not include the use of banner ads or login ads. I do like to point out that I am upgraded at many of these sites and do spend time every day reading other member emails to earn credits. Due to time constraints I don’t test every safelist in existence and many mailers are rotated in and out depending on how effective they are at any given time. My own Mister Safelist is not included in this list but it should be assumed at all times that Mister Safelist is awesome. I switched back to promoting Mister Safelist in April. Those stats weren’t as good but now that my ads having been running for awhile things are picking back up again. Still not as good as when I was only promoting lead capture pages but for a membership site I think being able to bring in 53 new members using only safelists is pretty good. That’s all for this month. As usual these stats are only provided to show what advertising sites are currently working best for me. What works best for you might be something entirely different. The only way to know for sure is to track your own ads! You can get the same link tracker that I use from trck.me.